Joseph Miller, award recipient, Janice Kunst, CPA, and Lucian Soro, award recipient, pose for a photo. New Canaan, Conn. 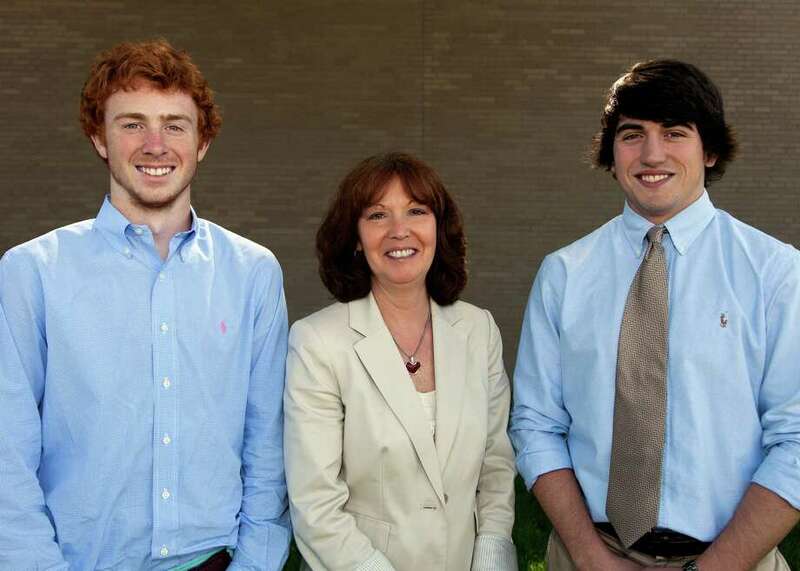 The partners at Reynolds & Rowella, LLP, announce two Strength In Numbers Scholarship Award winners from the graduating class at New Canaan High School. Since the awards are department specific, selection is made by the staff of the high school's business education program who select recipients for having shown an aptitude for accounting and finance. Janice Kunst, CPA of Reynolds & Rowella presented a check for $500 to each student. This year's award recipients are Joseph Miller, who will attend the University of Richmond, and Lucian Soro, who will attend Indiana University at Bloomington. "The partners and staff at Reynolds & Rowella are committed to supporting their profession and the communities in which they live and work," Frank Rowella, CPA, said. "We are pleased to recognize two talented students who we hope may be encouraged to consider a future in the accounting profession." 2012 marks the 12th consecutive year the firm has awarded these scholarships. Each year, Reynolds & Rowella gives two scholarships to graduating seniors in each of the three school districts and communities where the firm has offices. Casey Noonan and Michael Slaughter, both of Wilton High School, and Nathan Boytos and Christopher Rossetter, both of Ridgefield High School, were also award recipients this year. Reynolds & Rowella has offices in Ridgefield, Wilton and New Canaan.